Welcome to At Nu-Craft Window & Door, providing window and door services in St. Catharines, ON. 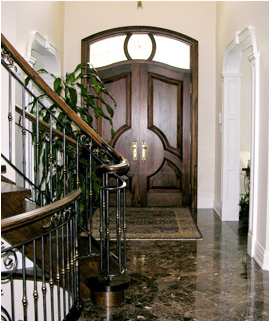 Welcome Nu-Craft Window & Door Co.
We are the seasoned window and door experts in St. Catharines, ON and offer a fully comprehensive range of services. We believe that the customer's vision is the most important aspect of the project. If you have a dream and want us to turn it into a reality, we will do our best to ensure that the final result is exactly to your taste. Our highly trained employees have developed customer service practices that will achieve the best results for our clients, allowing them to succeed through us. Our company has the experience and knowledge to do even the most complex job right the first time. We invite you to call us to discuss your upcoming project or to receive a quote on the work you have planned. Copyright © Nu-Craft Window & Door 2013. All rights reserved.